I am a big fan of King's work and I consider myself a Constant Reader. So, whenever there's a new novel by him, I feel obligated to read it. Sleeping Beauties had been heavily advertised before its release. It also had an intriguing story of all women on Earth falling asleep. King has dealt with this type of post-apocalyptic scenarios in some of his other books (The Cell, The Stand, to name two off the top of my head) and it has worked out really well. Before starting this one I felt it was bound to be another solid piece from him. Unfortunately, I was very disappointed. There's a plethora of characters and none of them are well developed. I also didn't identify with any of them. The language they use seems rather primitive, relations between them are superficial. I'm used to King's characters being more elaborate (teachers, businessmen, etc.). Having a narrator like that has always worked in favor of his work. In case of Sleeping Beauties they mostly seemed annoying (especially the "main" one - Eve Black). Apart from that I had an issue with the pace and how the plot developed. There are numerous short chapters. It seems like the story is cut into many shorter segments to avoid having to work on coherent plot, segues between events. I was even considering giving up and stopping after about 20% but forced myself to keep at it, hoping that it may get better in the second half. Well, it didn't. 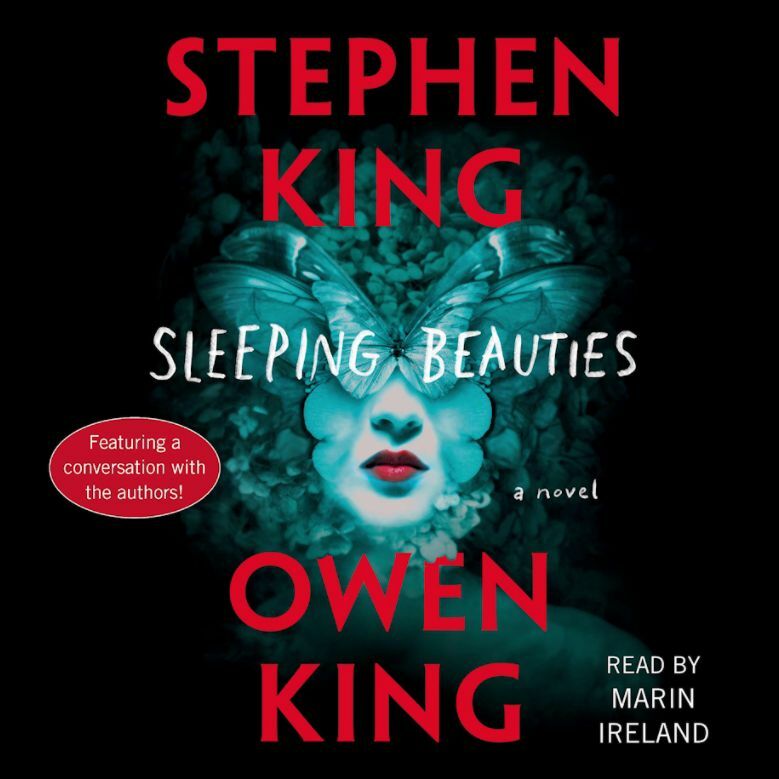 At the end of the audiobook there's an interview with Stephen and Owen King. It offers some nice insights into their work styles and family life but more than anything it gave me some food for thought on why the novel is so bad. They had been initially working on a script for a TV series and then decided to turn it into a novel. They were taking turns editing and modifying each other's chapters so that it would be hard to tell who wrote which section. Unfortunately, it didn't work at all. It's probably the worst novel by King I've ever read, even Desperation or Firestarter (terrible as they are), are outstanding in comparison.